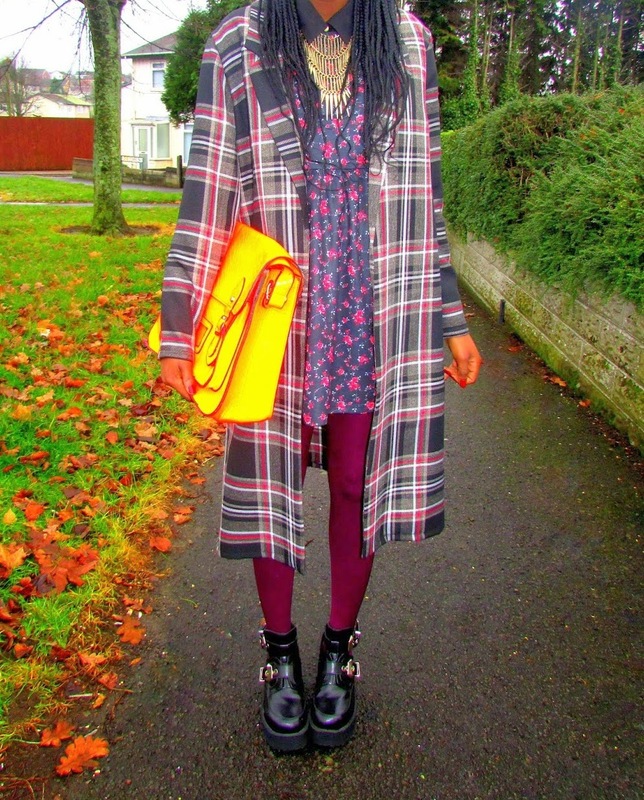 Thrift Coat / Internacionale Dress / Peacocks Shirt / Internacionale Necklace / Primark Tights / TK Maxx Satchel / Ebay Boots. The sun has disappeared once again but that doesn't mean I should stop digging out my favourite Spring florals. That poor tree behind me will soon be looking rather ravishing in about a month or so. Whilst I most certainly do not site my back garden for inspiration; my neighbor's garden on the other hand sure is worthy! They have the most beautiful flowers, different kinds all mixed together in one place, and you wonder why I'm forever mixing different textures, colours and prints. This outfit is a testament of the arrival of Spring, the season for bright florals and beautiful pastels; now let's slow dance into Spring. 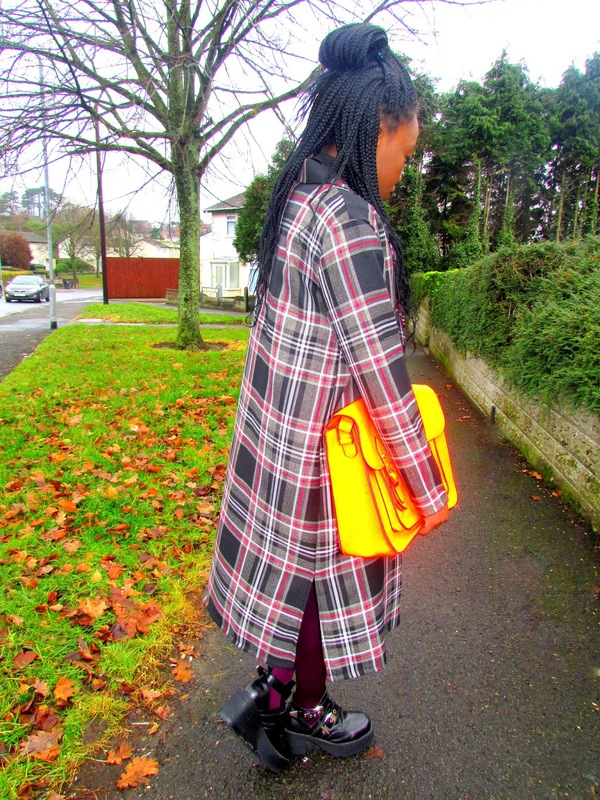 With the vast amount of times I've donned this tartan coat; you probably have already caught to the fact that is it my favourite. Teaming it up with a pretty floral dress, coloured tights to give my look some character and black boots to add some edge; it's all about grunge with a hint of innocence.